As it was a dreary, very rainy Monday morning, I had a look at the chart I got from the Wildlife Trusts for 30 Days’ Wild which includes lots of suggestions for things to try out. 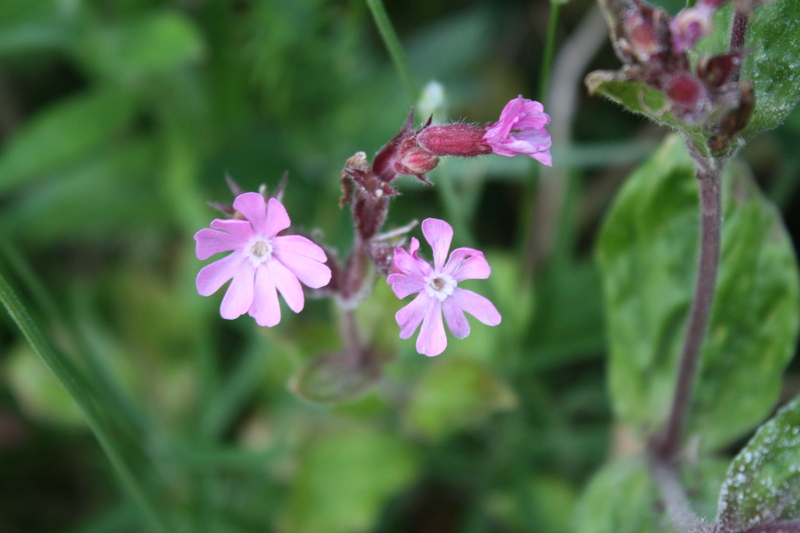 I chose to identify a wildflower, thinking it would also help my efforts to survey plants in Reffley Spring Wood on behalf of Norfolk Wildlife Trust. I had a look around the back and front gardens and picked five plants to work on. Simon Harrap’s book on wildflowers was brought out, along with my 10 x 18mm hand lens and I proceeded to deal with the plants. For a blue-flowered specimen, my husband casually said “borage” so I looked that up in the index. 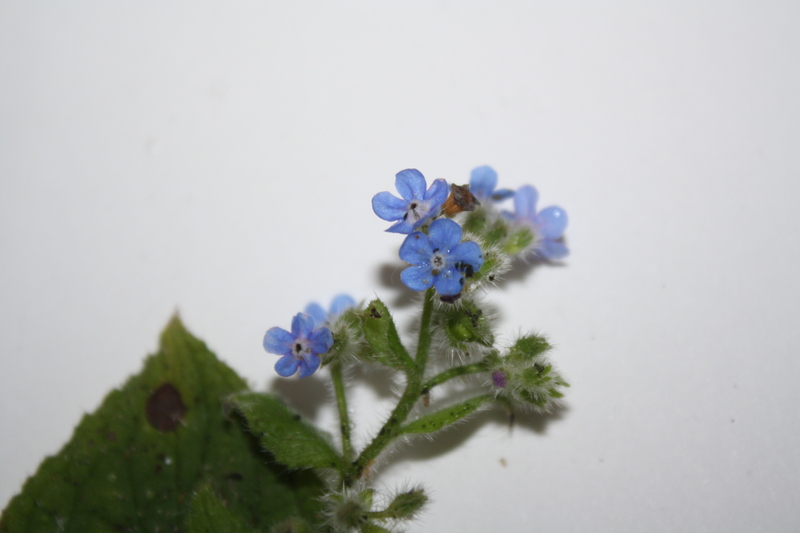 I could see straight away that it wasn’t actually borage but I recognised the plant at the top of the page immediately – it was my chosen plant, and called green alkanet. My husband had been right in a way with his suggestion for borage, as green alkanet is a member of the Boraginaceae family. I read through the description of the plant – “bristly hairy, with pointed-oval leaves and piercing blue flowers with a white eye” – and it seemed to fit. I found this flower sample against the neighbour’s fence in our drive. I’m afraid it had got a bit splattered with all the rain. Number two for examination turned out to be red campion, which we planted in a wildflower bed in the back garden and which has spread to a nearby border. It is in the Caryophyllaceae family and has pretty red flowers with five, deeply notched petals. The leaves are placed opposite each other on the stem. Then I considered a buttercup with a long stem, measuring at least 53 cm. This took me the longest amount of time to work out, as there are six buttercups to choose from in the book. 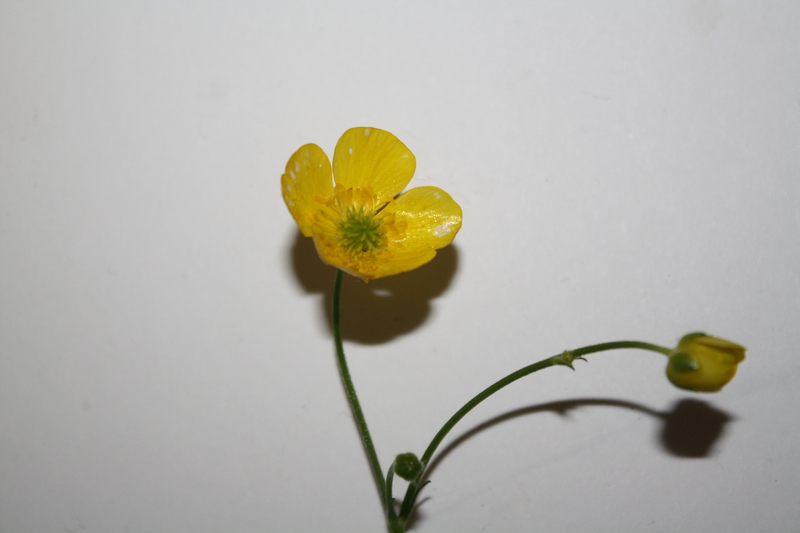 Because of the size of the flowers, 15 to 25mm across, the leaves which are finely cut and the fact that the flower stalks were smooth, I picked the meadow buttercup. I was able to see clearly the globular cluster of seeds with their short, hooked beaks with my lens. The buttercup is growing in and around the back garden lawn. The fourth plant I thought was a member of the daisy family, Asteraceae. Again, it was tall, and it had pale yellow flowers. 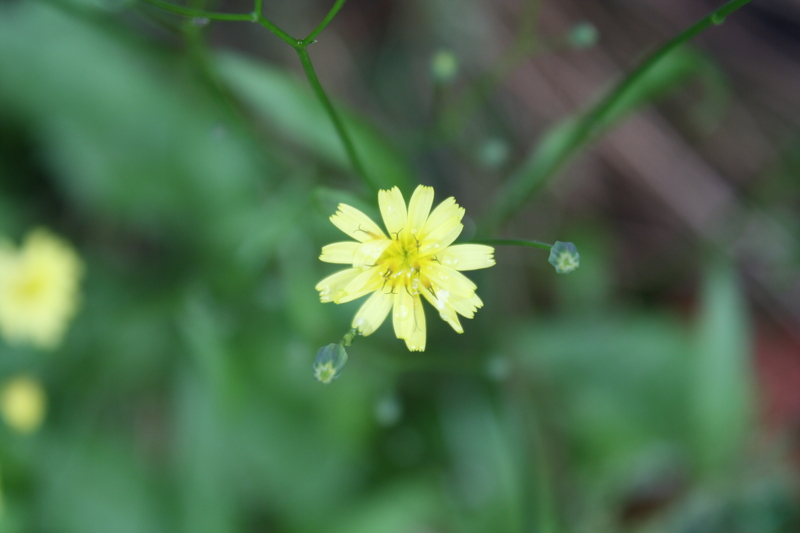 I leafed through the asteraceae section and saw the picture of nipplewort. The picture of its leaf and the description fitted, so that was another one crossed off the list! We have a large patch of this plant this year at the front of the back garden and another patch at the back. The final contender was another daisy-like plant, only taller and with several flowers to a stem. 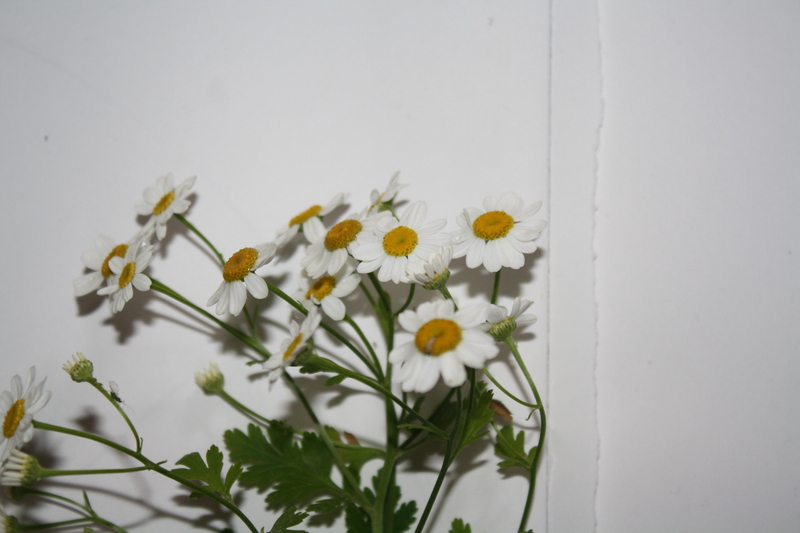 Mayweed seemed to fit the bill and I think it may well be the scented version, because the leaves and flowers had an aroma when crushed and the smaller size of the flowers – 10 to 25mm – was right. This had set itself in a pot in the back garden. When the rain finally stopped, I noticed the first bees to get out foraging were the tree bee and a white-tailed bee. In the evening sunlight, I spotted a white tailed bee and a hoverfly supping from the flowers on the red campion.